From now until March 31, sign up to be a Stampin' Up! demonstrator and receive a HUGE discount on the Starter Kit! Retail value of this kit is $335 - you only pay $169 during Sale-A-Bration!! That is a deal. Not only do you get the kit for 50% off retail price, you also get to choose ANY stamp set for FREE! I signed up to be a demonstrator over 11 years ago because I wanted to add to the family income and I wanted to get out and meet people and share creative ideas. In these years I have made countless friends, had the opportunity to travel, made my husband happy by taking him on three cruises I earned from sales, have been able to work my business around my families schedule. I have had customers tell me that stamping and being creative has kept them from depression - has given them a bright spot in their day. To be able to touch lives in this way is the most rewarding part, to me, about being a demonstrator. Do you have a long wish list? Would you like to receive a discount on your stamping and scrapbooking supplies? Would you like to earn money to pay off a bill or buy something special? FREE SHIPPING - the Starter Kit ships free to you. 20% Instant Income - money in your bank account right away! Opportunity to earn higher commission based on sales. 30% off your first order submitted! Opportunity to meet with other demonstrators to share ideas and business tips. Stampin' Success - a colorful monthly magazine in your mailbox from Stampin' Up! Trips - earn FREE trips for you and a companion! Travel - to Stampin' Up! conventions and events. Stampin' Up! is a debt free, stable company. Be a part of something great! The list goes on and on and on. I am here to support you and would love to have you on my team of BEE-Lever Stampers! 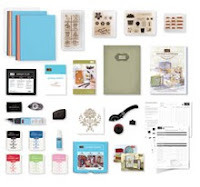 If you have questions, email me dflever@comcast.net If you are ready to sign up NOW, you can do so online by going to my website http://www.debbielever.stampinup.net/ and clicking on the JOIN NOW button. You will need this password - beelever - to complete the application.